Knee Healed – Woman walks away perfectly without her cane! Woman’s Knee Healed Scheduled for Replacement! 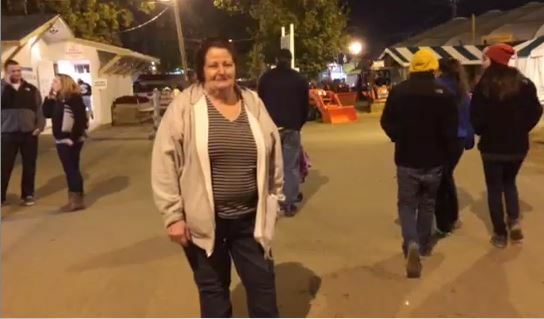 This was a fun testimony to experience at the Topsfield fair in MA. Laury and I approached this woman in pain and asked why she needed the cane as she was sitting on a bench. She explained that she had 2 bad knees and that she recently had one kneed replaced and was scheduled for an appointment on Tuesday to discuss replacing the other knee. We asked her if we could pray explaining all the pain would go away and that we recently prayed for another knee that was totally healed also scheduled for replacement. She agreed – She said she was in a lot of pain at a level 8 on a scale of 1-10 before prayer. We both layed hands on her knee, prayed in the name of Jesus and the pain went down to about a 4, then one more quick prayer and all the pain left. We told her to stand up and test it. She was so shocked (I love seeing that part!) and kept insisting it felt totally healed, we kept saying “we know”! It was so much fun to see the hope restored in her eyes. We spent a bit more time ministering to her and her daughter and prayed over both to bless them. She walked away perfectly without a cane and without a limp and said she no longer felt like she had “bone on bone” and was so very happy 🙂 I believe she got a new knee from God that night!